Sheer draperies (“sheers” is the shortened version) could be the most dynamic, impact creating, and statement-making window treatment! Sometimes when I suggest sheers only, I get this look from the client (REALLY?). Many clients think that having only sheer treatments for their windows will not be enough to finish the room or to create an impact on the room. There are so many amazing sheer fabrics on the market and so many ways they can be used. Sometimes combining sheers with other fabrics can produce a unique look that creates depth and visual interest in the room. 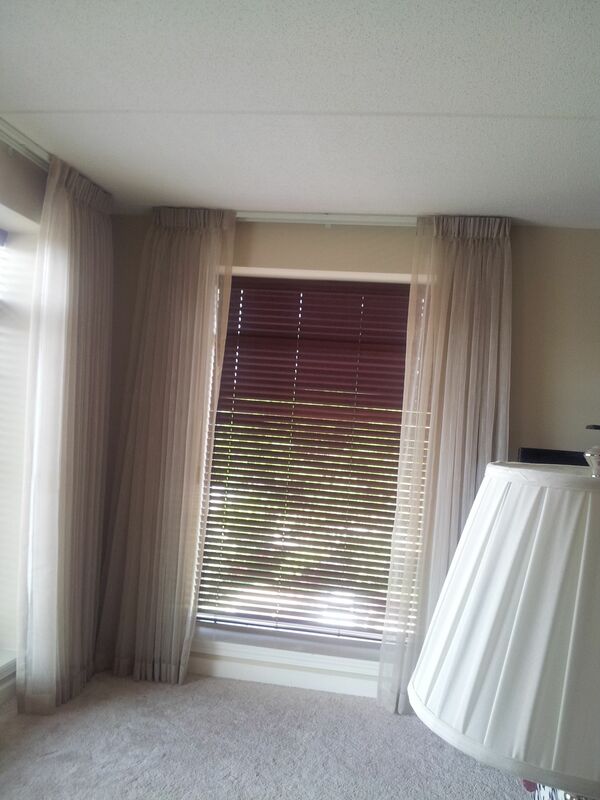 Take a look at the cut-out sheers we have used in the room below. 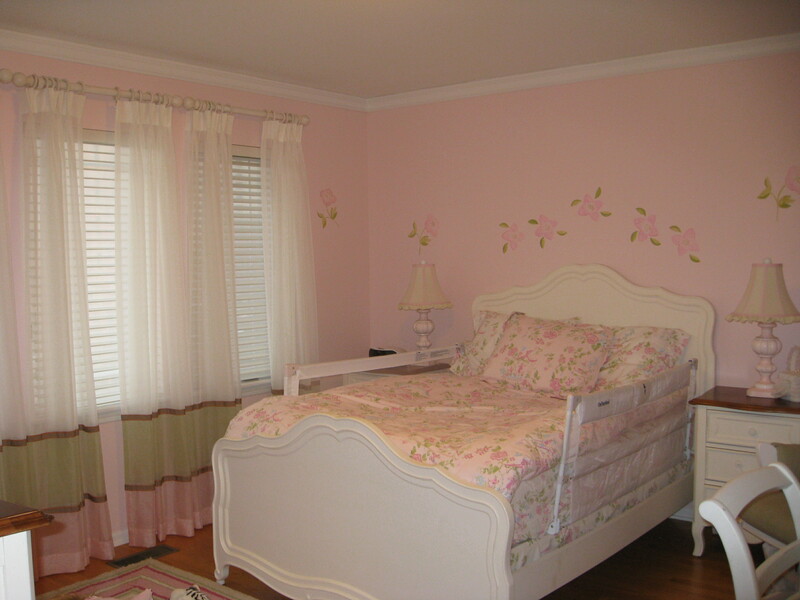 The reason we used this particular fabric is because the room has a curved wall and the home has a unique floor plan. The breakfast area is a perfect circle, and it is adjacent to the kitchen and the formal dining room. The curved wall in the dining room is part of the circle that is shared in the breakfast area. The idea was to base our selections on the circular theme when it came to furnishings and window coverings. The fabric is made of cut-out circles; the fabric is called “Cufflinks” and the color is “Copper” (Larry Laslo collection from Robert Allen Textiles). 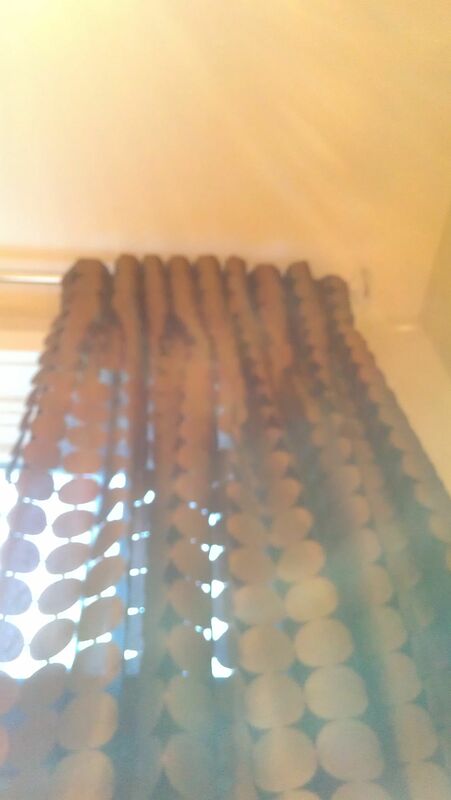 The sheers were lined in black plain sheer voile. Have you noticed how the circle theme has been repeated? Check out the wall sculpture of hand blown glass trees, the sheer fabric, and the chandelier crystals. Notice another interesting feature that connects the sheer to the chandelier and the circle theme: see how the shadows of the sphere-shaped crystals that appear on the inside of the drum shade of the chandelier form circles that are the same size of the circle in the sheer? 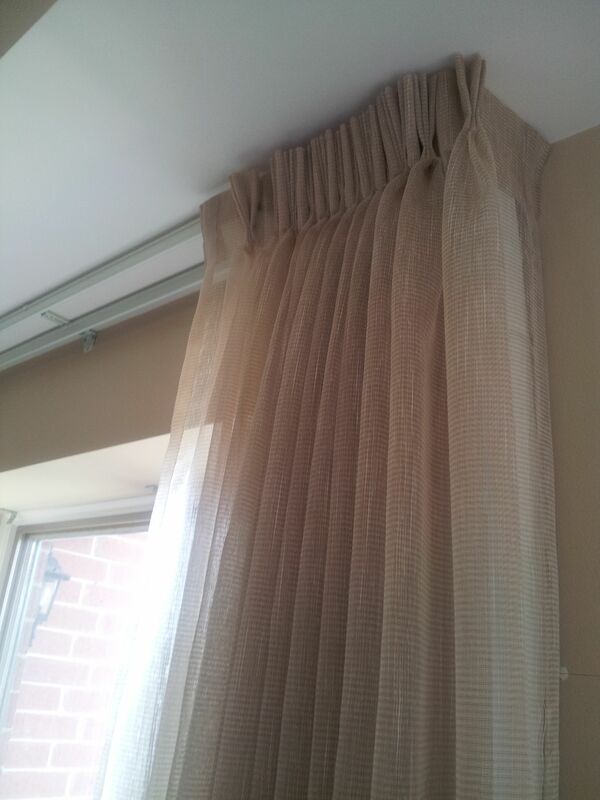 The client and I wanted the sheers to make an impact on the room by supporting the overall theme of the space. I think it worked … happy client, happy designer! If you would like to schedule a free, no-obligation appointment to tell me your design ideas or challenges and hear some feedback, please call 630-854-9082 or send me an email (susan@gailanidesigns.com. Let’s make your room happy! Sheer draperies and design trends! 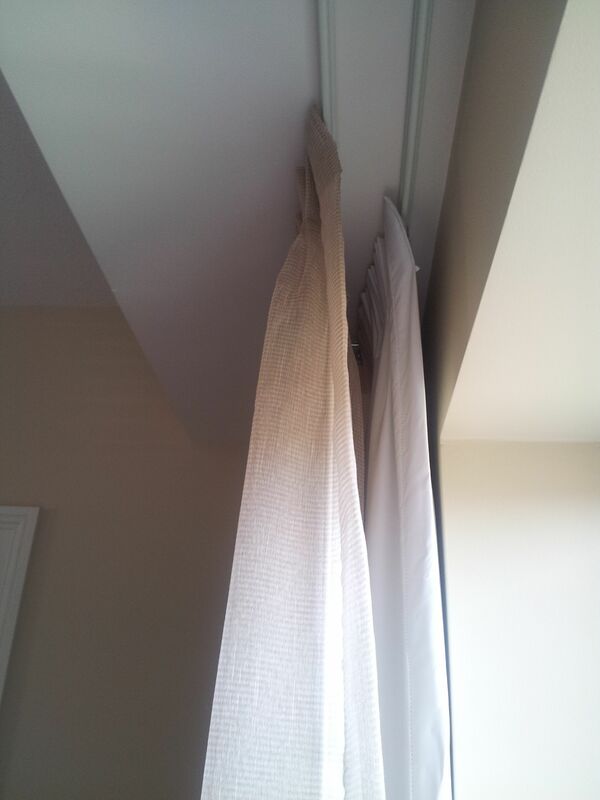 Have you noticed what is out there as far as sheer draperies? 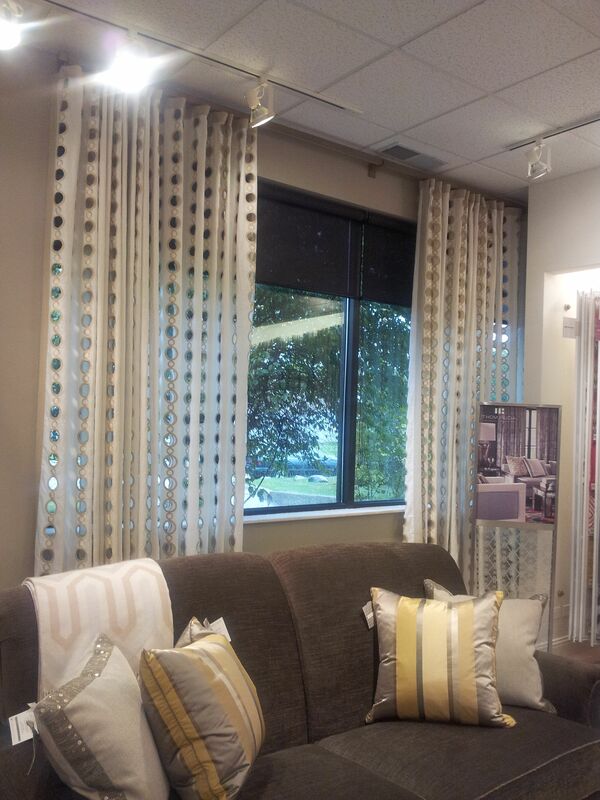 Now more than ever you will find the most amazing sheer fabrics that make a dynamic statement in any space. Sheers with cut outs, sheers with burned velvets, embroidered sheers, and so many stunning fabrics that will let your jaw drops!